Time Is Running Out for Huge Read Tuesday Book Sale 12/10. Our Book is available in both paperback and e-book! Are you tired of the same old Hollywood werewolves and Dragons? Tired of seeing the werewolves as blood thirsty crazed killers? Well, why not give our book a read! Our book portrays Werewolves as the good guys and so are the dragons! Check it out! Both books are available in paperback and e-book on both sites! 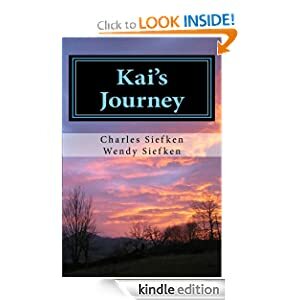 “Kai’s Journey” is a story about a young man, set ten years in the future. Kai has spent those years fighting for survival and trying to find a way rid the world of the disease his father created.. His father was a military scientist charged with the task of perfecting a formula that would create a superior breed of soldiers. Kai’s father accidentally created a race of zombies. 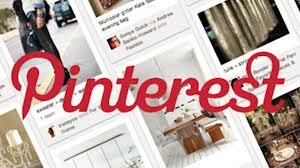 Like a virus, it soon spreads to the entire world, unleashing a period of unsurpassed chaos and conflict. In the midst of this turmoil, Kai comes across a young woman named Clover, who is part of a clan traveling across the United States to try to find what is left of humanity. Clover is a part of a clan of werewolves who can turn at will but aren’t blood thirsty savages as depicted in general history. . Along the way Kai and Clover come across stragglers who join with the group as they journey across the upper part of what used to be known as North America.One night while Kai and Clover were watching a meteor shower they meet a group totally out of this world. Kai and Clover begin a heroic journey, fueled by the increasingly dim hope that somehow, the human race will have a chance to start over. From the title I expected a story along the same lines as The kite runner, but oh no this is definately nothing like that. This is a story of a quest; a quest to cure a disease and rid the world of zombies and Kai, for reasons that will be made clear in the book, is the one who feels he must carry out this quest. A thrilling book and that is praise indeed as I don’t normally read or watch anything to do with zombies. We have an article in the Marshall Times, its an insert in the Marshalltown Times Republican. Its a local news paper. I really do like how Mike Donahey did the article too. Very well done! I was so excited I was all giggly at the gas station! not a normal mood for me to be in,, (Giggly) that is.. but was just excited to see my son in the paper and our book being out there! awesome!